Lagið tekur á hinu víðtæka málefni um byssueign í Bandaríkjunum, háu hlutfalli fjöldaskotárása, jafnt og langvarandi kynþáttafordómum og mismunun gagnvart Bandaríkjamönnum af afrískum uppruna. Lagið er skrifað og pródúserað af Gambino og Ludwig Göransson og upprunalegt tónlistarmyndband leikstýrt af Hiro Murai. 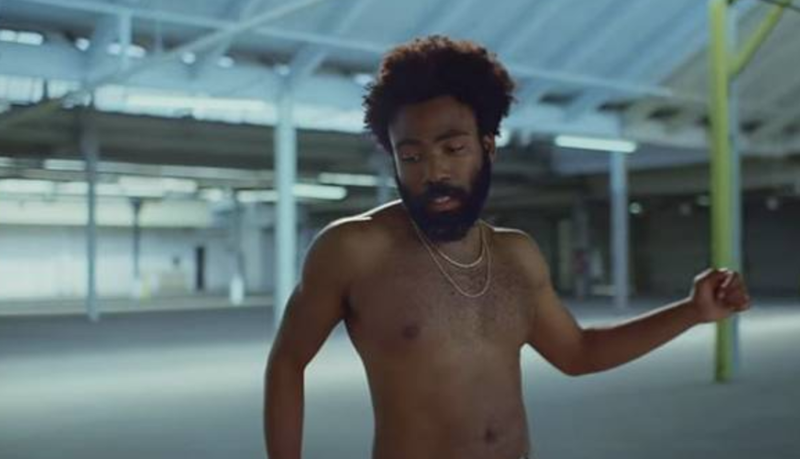 Þrjú myndbönd sem halað var upp á YouTube sem öll stæla myndband Childish Gambino með smellinum ‘This is America’ og sýna stöðu jaðarsamfélaga eins og þau eru í dag í Bandaríkjunum. Þessar ábreiður líta til upprunalegs innihalds lagsins (sem sýnir áhrif lögregluofbeldis, kynþáttafordóma og félagslegrar skammar), á meðan þær benda einnig til tiltekinna erfiðleika og kúgunar í Frakklandi, Nígeríu og Tyrklandi, hvert af öðru með einlægni og húmor. Í gegnum þennan þríleik með samtíma rafrænum samskiptum verður til samsetning sem er í eðli sínu afbrigði og veitir innsýn á tungumál poppkúltúrs og getu til að taka á málefnum sem eru almenn, en líka sértæk erfið úrlausnarefni og gremju. The song addresses the wider issue of gun violence in the United States, the high rate of mass shootings in the United States, along with longstanding racism and discrimination against African Americans. The song is written and produced by Gambino and Ludwig Göransson and the original music video was directed by Hiro Murai. Three films uploaded to YouTube that all appropriate a contemporary depiction of side lined communities’ position in the USA in the form of Childish Gambino´s hit ‘This is America’. On the one hand, these covers pay homage to the original content (portraying the effects of police violence, racism and social stigmas) while on the other hand they also recount the specific hardships and oppressions experienced in France, Nigeria and Turkey respectively with sincerity and humour. Through this triptych of contemporary online communication this constellation displays the mutations and reach inherent to the language of popular culture, and a capacity to at once address both general and specific dilemmas and frustration.